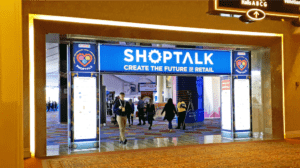 ShopTalk 2019 in Las Vegas was bigger than ever. From March 3rd through the 6th, The Venetian’s Sands Expo Convention Center and meeting spaces were filled to the brim with more than 8,000 attendees ready to learn from experts across five different talk tracks. With the talent they had lined up for the show, it was destined to be a good one, and I found it difficult to decide which sessions to attend. Along the same lines, the ShopTalk expo floor was so huge and engaging, it took me many hours between sessions over the course of several days to really soak up as much as I could. After everything was all said and done, I sifted through the information I gathered during my time at the show and tried to distill it down to the biggest messages I could find. 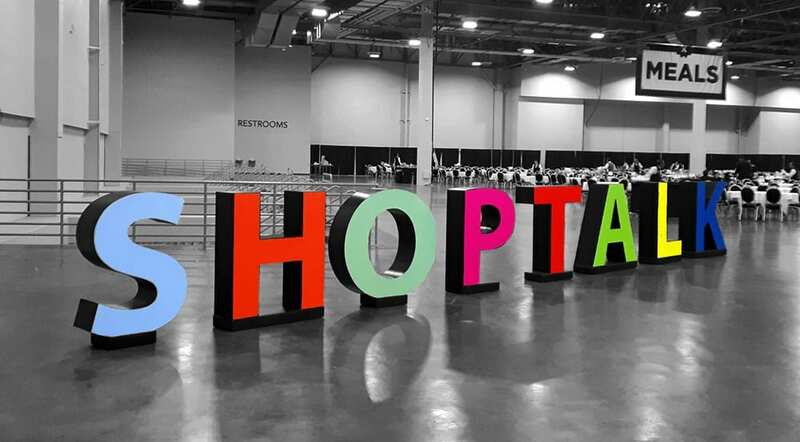 Here was my top five list of takeaways from ShopTalk. 1. Partnerships are integral to success in the retail (and retail supply chain) landscape. The lines between retail have blurred so much, it’s hard to tell where retailers end and brands begin, let alone all the cogs and links in between that move everything from point A to point B, C and D. Retailers, vendors, suppliers, brands and third-party logistics providers are working together on multiple methods for fulfilling consumer orders – drop shipping, ship to store, ship from store and more. Of course, it’s all in the name of making consumers happy. Everyone involved are working towards the same goal of making the sale, so that should theoretically make it easier for partnerships to flourish, right? The levels of communication required to make those relationships thrive are high, though, and speed is a necessity. How fast and accurately you can communicate with trading partners can severely impact your ability to make consumers happy and limit your ability to grow. 2. Automation in many forms is a necessity to move at the speed of today’s consumer. I think I heard the word “automation” in just about every session. With so many moving parts and a need for speed, automation just makes sense. What I noticed was that quite a bit of the automation solutions covered during the sessions required a lot of investment in time, money, resources, technology and even real estate space. Robots and other machine automation that performed all sorts of tasks were covered. What I didn’t hear much of was something much more simple and closer to the hearts of the majority of businesses in the retail sector: system and communication automation, such as with electronic data interchange (EDI). From your e-commerce platform and point of sales (POS) network, through to your ERP and shipping, if the systems can’t communicate with each other, your processes aren’t going to get better with robots picking orders. Same applies to the relationships between trading partners – automation of communication is essential to meet the strict requirements of large retailers and brands. It’s also one of the best ways for vendors and suppliers to keep customers and gain new ones. Automation of common processes helps everyone win (of course, I could be slightly biased). 3. Data must be the driver of strategy from beginning to end­. The consumer is pushing the retail sector to invest in technologies that make more data collection possible. Between e-commerce platforms, ERPs, POS, EDI, analytics and more, there is no excuse anymore to make decisions based on gut feelings, and honestly, with how the competition is out there, no one can afford to be as wrong as “feelings” can be. What categories and types of products are really selling best? Should we expand our lineup and how should we expand it? How successful was that new item offering? Has the popularity of this older product changed this year? Were all of our online orders shipped on time? What does our order accuracy rate look like? Are our return rates increasing or decreasing? How are drop shipping vendors performing for retailers? The tools are available to put numbers on all of these questions, and each answer could impact how you move forward. It certainly impacts the competition that has already harnessed the power of their data to make more sales and grow their business. 4. Omnichannel strategy permeates everything, but the word is barely there. Don’t get me wrong, the omnichannel concepts of being on all the sales channels relevant to your customers, delivering on all the appropriate fulfillment methods, and having it all connected with a centralized vision of the organizational “truth” was there. In some form or another, it was in every ShopTalk session I attended. But “omnichannel” as a word was hardly uttered. It’s been said that “omnichannel strategy is dead” and we’ve asserted that’s not true, it’s just called “strategy” now. As new sales channels and new fulfillment methods appear, they just naturally fall into various categories of omnichannel practices, and each company takes what works for their customers and leaves behind what doesn’t work for them. Never before has it been more obvious: Not only has omnichannel’s death been greatly exaggerated, it’s reached a native maturity that means it’s probably going to be quite a while before something new actually replaces it. 5. Failure is a given – how does your culture handle it? The old ways alone don’t work the same anymore. Transformational change is everywhere. Older traditional retailers are adapting to the digital e-commerce revolution. Newer companies are trying to elevate their awareness, performance and scale. Sometimes the new ways are a flash in the pan, while other times they become the next vital thing. With so much change going on and everyone trying new things, failures happen, and a few of the brands represented in the talk tracks had faced significant missteps in the past. The overarching message was that change is moving fast, and not everything that you try is going to work. In fact, if everything works out for you on the first attempt and you never fail, it’s very likely because you’re not trying enough new things or not taking big enough steps. Likewise, if failure is a taboo in your company that brings punishment, your workers may not feel free to make improvements to the company. Stop making “failure” a dirty word. Incentivize innovation. Encourage a culture that feels empowered to try and fail, and fails fast – then learns from the mistakes so the data can help determine your next move. You’re likely to have learned something valuable to make the next endeavor a success. As I was sitting in these sessions, and later when I put these takeaways together, I couldn’t help but notice the topics all fit so well into what SPS’s products and services are all about. SPS helps businesses all along the retail supply automate, communicate, calculate, and innovate. The essential purpose of SPS Commerce is to break down silos, enable partner trading networks to communicate and complete transactions more quickly, efficiently and effectively. All to make consumers happy and ideally attain more sales. Importantly, our products can be used in conjunction with your current systems to deliver more value from them. SPS services transform your existing trading partner network into a community that communicates and works better together.